Hello Coolz Readers! Here i am back with a New PayTM Upload Profile Picture Offer. 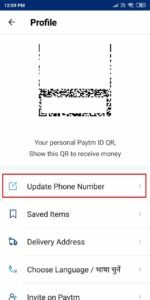 PayTM Upload Profile Picture Get Rs.50 PayTM Cash On Daily Basis. Here this Offer is Only for that users who never uploaded their profile picture on paytm before. Most of the users never uploaded their picture on PayTM i think so you all have to try this out to get Free PayTM Cash. Follow Given Steps which is very easy and Daily 100 Lucky users will get Rs.50 Cashback in PayTM Wallet. Do Share this Post with your friends and Let them Know To avail this offer and Upload Profile Picture On PayTM Get a Chance to Win Rs.50 PayTM Cash. Follow Given Method Now!! 2. Tap on menu icon on top right corner of home screen and select barcode icon in pop-out menu. 3. Now Click on Update Mobile Number Option. 4. Now tap on Edit Option next to your PayTM name. 5. Select your Profile Picture from your Photos and Upload It. 6. Voilaa!! You’re Done Now. 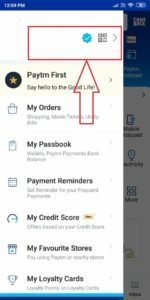 If you’re Lucky from daily 100 Users then you will get Rs.50 in your PayTM Wallet On Next Day. 3. The contest will expire on 20th April 2019. 4. 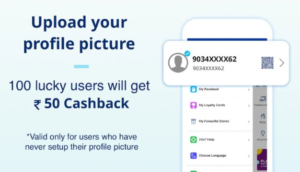 Valid for users who do not have a profile picture on Paytm as of 7th April 2019. 5. Winners will be informed via SMS on registered mobile number and cashback will be added in 5 working days. 6. Offensive/misleading profile pictures will be deleted and users posting such images will be blocked permanently. Paytm may also initiate legal action against such users.